If you frequently shop at Nordstrom, which was rated the top fashion retailer of 2013, you may consider signing up for a credit card from Nordstrom Rewards. Nordstrom offers three different options in their card lineup: the Nordstrom Retail card, which is good for all purchases at Nordstrom, Nordstrom Rack, and Nordstrom.com; the Nordstrom Debit card, which is good for purchases at the same locations as the Retail card but draws funds from your bank account; and the Visa Signature, which is only available for application inside Nordstrom stores but can be used anywhere Visa is accepted. Nordstrom offers four levels for each of their cards based on the amount of Nordstrom purchases in a calendar year. Level 1 is for those who spend up to $1,999; Level 2 is for those who spend between $2,000 and $4,999; Level 3 is for those who spend between $5,000 and $9,999; and Level 4 is for those who spend $10,000 or more. Many benefits are only available to customers with higher levels, so it’s important to estimate how much you’ll spend before you decide to sign up for the card. It’s worth noting that you must meet the spending requirement each calendar year in order to retain your level status. If you don’t meet the requirements and go down a level, you lose any associated benefits. Unlike many other department store cards, which tend to have interest rates of around 26.99% Nordstrom boasts a variable interest rate based on credit worthiness that starts at 10.9% and caps out at 22.9%. This is far more reasonable than other store cards. Nordstrom also offers many unique benefits that are unheard of at other retailers. One of these benefits is reimbursement on all alterations performed by Nordstrom. You’ll receive the dollar amount you spend on alterations back in “Nordstrom Notes”—their version of rewards gift certificates. The maximum amount you can receive depends on your level, with Level 4 getting unlimited complimentary alterations instead of Nordstrom Notes. Another interesting benefit that Nordstrom Rewards offers is essentially a make-your-own sale day. As a cardholder, you get to earn triple points for any purchases made on any day you choose. The amount of days you get again depends on your level, with Level 1 members getting one day and Level 4 members getting four. This benefit allows cardholders to earn rewards points three times as fast on their triple points days. 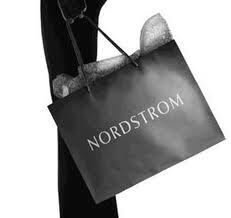 Levels 3 and 4 get the exclusive benefit of purchasing “extraordinary experience” packages from Nordstrom. These are various trips and adventures that allow cardholders to meet designers, participate in photo shoots, and tour various fashion facilities. These events range from $4,000 to $10,000 for two people. If that weren’t enough, Level 4 members get complimentary spa services, lunch and dinner events for them and their guests, and exclusive invites to fashion line launches that include cocktails. Nordstrom’s benefits are truly off the charts compared to other retailers. Nordstrom’s rewards work on a point system, like most department store credit cards. For every dollar you spend at Nordstrom, you earn two points (you earn one for every dollar spent elsewhere). For every 2,000 points, you earn $20. This means you earn a measly 2% return on all purchases. While Nordstrom’s other benefits might outweigh this fact, it’s still extremely underwhelming. However, there’s not much else bad to say about the Nordstrom card. Its extraordinary benefits offer unparalleled rewards experiences that are completely off the charts compared to other retailers. Rather than just a points system, Nordstrom offers its cardholders unique and valuable experiences. Nordstrom is famous for its one-page employee handbook that emphasizes customer service as its number one priority, and this principle really shines through with their credit card offerings. If you plan on shopping often at Nordstrom, a Nordstrom Rewards card may be a very good choice. Hello, and thank you for this information on the Nordstrom credit card. It’s true that Nordstrom is one of the biggest companies and many people shop there often. I think it’s good to research the type of shopping you do and see if there are any bonus you can get for regular shopping.